We have a stock setup for drum heads as we have tested all types for all of our series to determine their optimum sound. 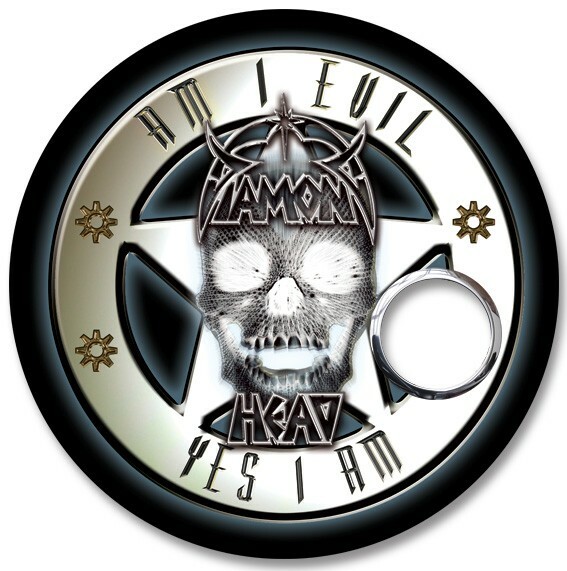 Although, you can special request any drum head to suit your personal taste. We are a firm believer that different drum heads suit certain drummers and their drums differently, so we don’t make you waste extra money on repurchasing heads as soon as you get your brand new kit. CONTACT US to special request any drum head with your order. Our stock snare drums come with REMO AMBASSADOR COATED batter and a REMO AMBASSADOR HAZY snare side drum heads. These heads are a staple for snare drums which will help compare individual drum sounds without a biased drum head. The coated head has a wide dynamic range being a medium thickness single ply while the hazy snare side is a super thin head to increase snare response. Tom Toms come stock with REMO VINTAGE AMBASSADOR COATED batter with a REMO AMBASSADOR CLEAR resonant heads. The vintage ambassador model features two different thicknesses compressed together for a very warm and full sound. The coated batters help add more cut and attack while maintaining a nice sustain. 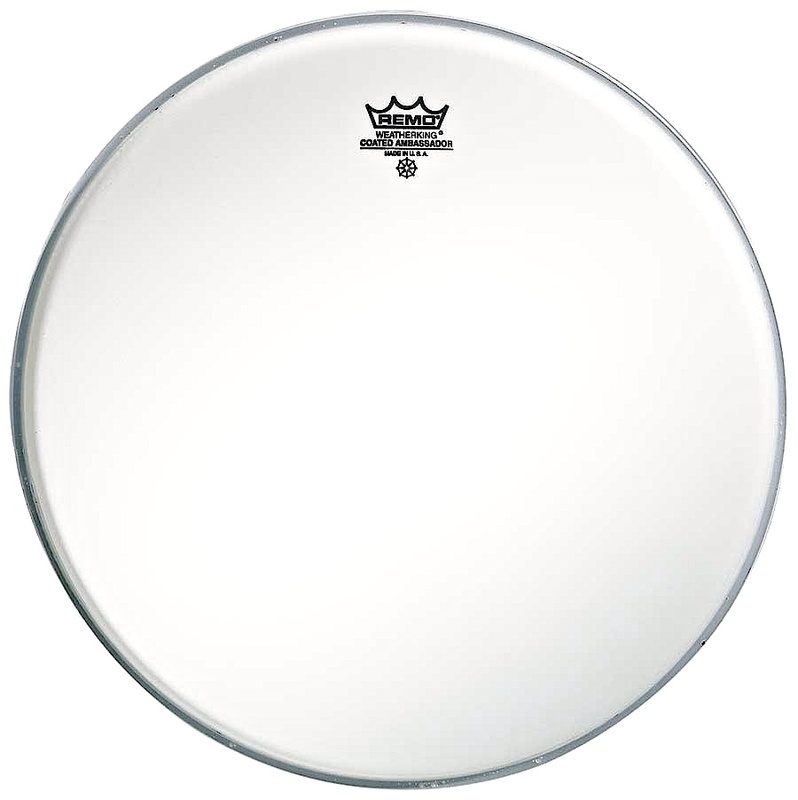 These new REMO POWERSTROKE PRO CLEAR batter heads come stock on each kick drum with your choice of logo resonant head listed below. These heads have an amazing naturally EQ’d sound with tons of depth and warmth, and still plenty of attack. 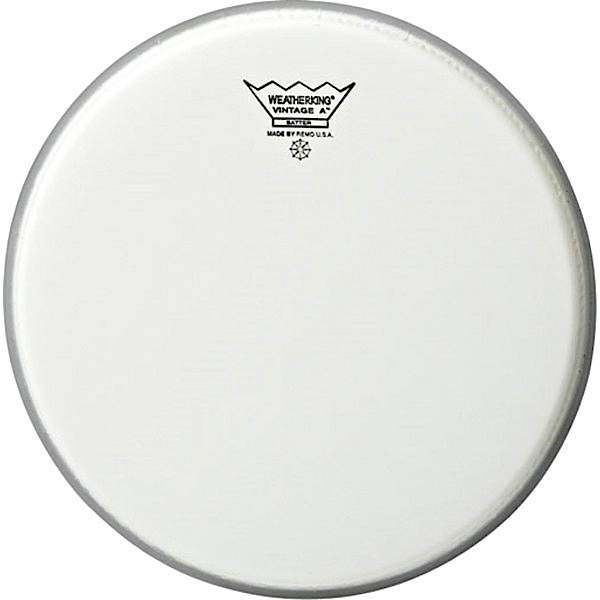 The single ply head is more open and boomier than their double ply version which chokes the drum too much. 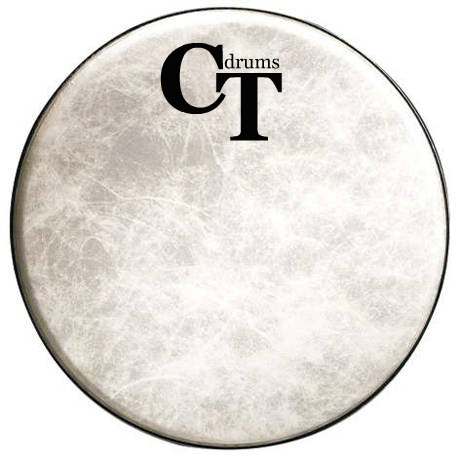 Black bass drum head with a white CT logo. Shown with an installed chrome reinforcement port. 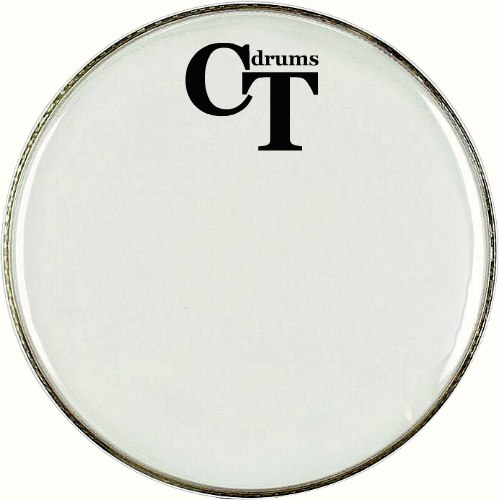 White bass drum head with a black CT logo. Shown with an installed black reinforcement port. 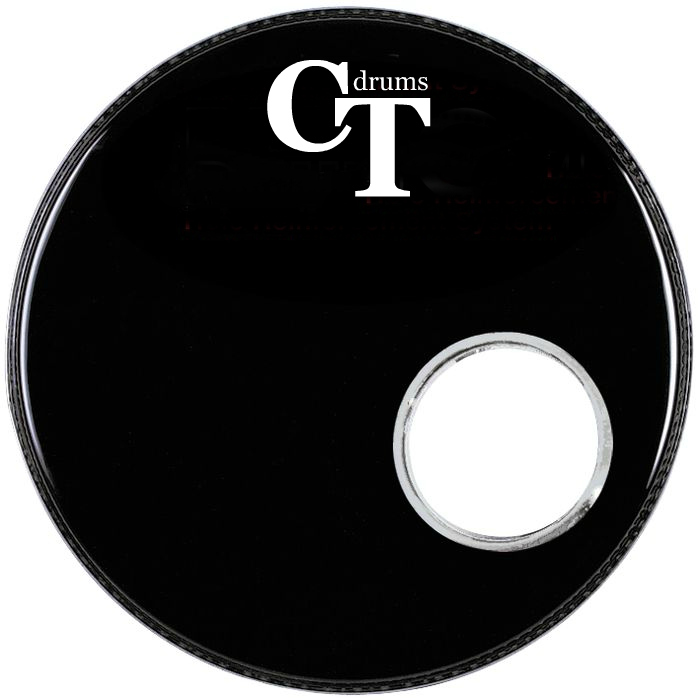 Fiberskyn drumhead with a black CT logo. 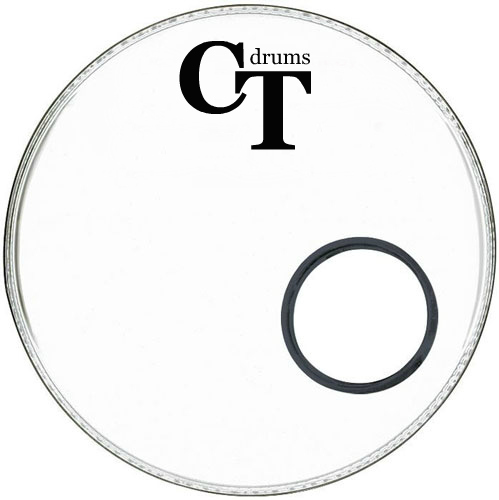 Clear bass drum head with a black CT logo. We will cut any of our bass drum heads purchased with any of our kits with one (1) free mic port hole placed in any location or size. Typically a 6″ hole at about 4 o’clock position. You also have your choice any Holz reinforcement ring to help protect the drum head from tearing. 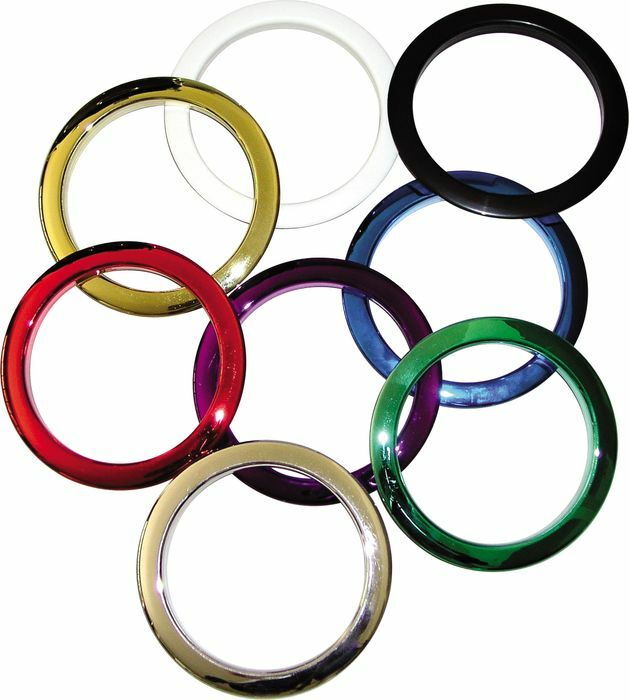 Colors include silver or black in 4″ or 6″, other colors available as special order. Additional ports cut are $5ea and Holz rings installed are $20ea. We offer two (2) types of stock CT logos. The first is our standard “CT Drums” centered emblem in your choice of black or white, the other is a vintage style crest logo offset spanning the entire drum head in your choice of either black or white. Either choice comes free with any new bass drum purchase on any of the logo bass heads listed above. These can be purchased separately as well.